Tottenham are reportedly set to step up their pursuit of Crystal Palace winger Wilfried Zaha, but fears are growing over Toby Alderweireld’s future. 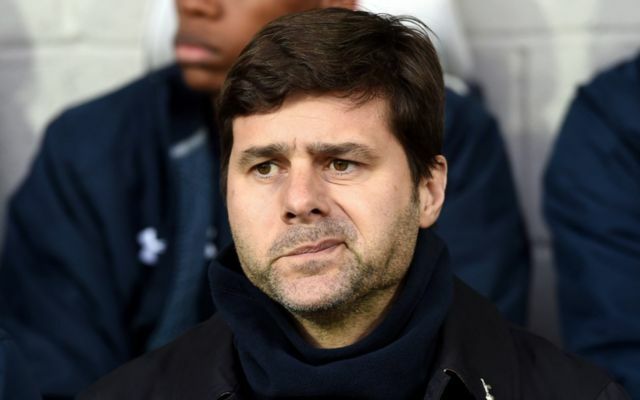 Spurs having undoubtedly made progress under Mauricio Pochettino over the last three seasons, but they still haven’t been able to take that next step and compete for major honours. While the FA Cup is still an objective, they’re battling for a top-four finish in the Premier League and crashed out of the Champions League in the last-16 round. In turn, that could lead to changes this summer, and based on the speculation below, it may not be all positive for Tottenham fans. The Daily Mail claim that the club will launch a £40m bid for Zaha, who has proven to be a pivotal part of Crystal Palace’s push to avoid relegation trouble this season with four goals and three assists in 22 appearances. At 25 years of age, he still has significant room for improvement, and as seen with Pochettino’s work with Dele Alli and Harry Kane, that might be a challenge that the Argentine tactician relishes. Nevertheless, £40m is a lot of money for a player who hasn’t proven himself consistently at the highest level, while Tottenham already have the likes of Kane, Alli, Heung-Min Son, Lucas Moura and Christian Eriksen in that department so it’s debatable if it’s a necessary signing. Perhaps a bigger concern will be a report from The Telegraph, who claim that Paris Saint-Germain have joined Barcelona and Manchester United in the battle to sign Alderweireld. The issue from a Spurs perspective stems from the fact that the Belgian international hasn’t yet penned a new contract, and that has led to question marks being raised over his future in north London. In turn, Tottenham may have to consider offers this summer in order to avoid losing him for less in future, and that will be a blow as he’s been one of the most consistent performers in the Premier League and has built a solid partnership at the back with the likes of Jan Vertonghen and Davinson Sanchez. Injuries have been a problem, but especially with Barca having a lack of quality depth behind first-choice pairing Samuel Umtiti and Gerard Pique, this could be an ideal signing for the Catalan giants.